Wide range of Wines and Liquors from all over the world. La Selecta in Sayulita is the perfect place where you can find unique fine, artisanal Tequila and Mezcal that are 100% organic. Come and visit La Selecta and we will give you professional advice about different types of Tequilas, Mezcales and Wines. We are delighted to assist you with finding that perfect Tequila or Mezcal which suits your taste! Not your usual liquor store, you will be impressed with the top shelf selection and quality of fine spirits and wines at La Selecta. If you are having a special occasion and need some great spirits and wine, we can help. We look forward to assisting you with the finest selection. La Selecta offers you some unique bottles, that make a beautiful gift presentation. The perfect gift for you, your family and friends! Ask us about customizing a special bottle of Don Ramon tequila with personalized etching of your logo, your name or the name of your villa. Truly a unique and treasured gift for the most special of occasions, such as a wedding, anniversary, retirement, or birthday. We also offer a wide range of wines and liquors from all over the world. If you think you tasted it all, you have not been to La Selecta! The BEST place to buy tequila in Sayulita! If you love tequila, La Selecta is THE BEST place to go in Sayulita to purchase! They have a phenomenal selection at very reasonable prices. Miriam and her husband are well versed in tequila (as well as other spirits) and they offer tastings so you are sure to buy what you like. Their personalized service is off the charts. Can't say enough about the two of them and their store. Location is a street or so off the more popular plaza/town streets though easy to walk to. Don't miss out and put this on your list of to do's. They also have a good selection of other alcohol and beer, water, etc. We were in S in Feb 2017 and I think I stopped here every night to buy a small bottle of Cava D'oro extra anejo. Great people who let me discover some fascinating finds.Please shop here. They are extremely nice people. My daughter is going to Chocala and I am asking her stop in here to get a large bottle of Cava d'oro to bring home. If you stay in downtown Sayulita, you will miss the best liquor store available. You won't find the selection of top shelf tequilas (and other unique agave-based liquors) that you will in the other stores. Sure, La Selecta has other liquors, wine and beer, but the best thing about them is that they have tequilas/ raicilla/ sotol/ mezcal we haven't been able to find anywhere else and they let you taste them. They are a family-owned store (the sweetest family in Sayulita) and they also have an organic grocery around the corner. 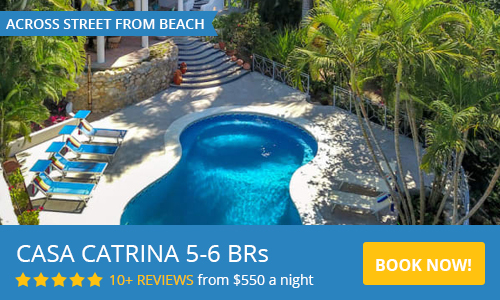 Don't miss a visit to La Selecta on your next trip! The best place to buy Tequila in Sayulita, by far!